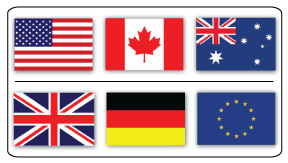 Coloring Books | Really Big Coloring Books, Inc.
All of our Retail Coloring Books are printed in the USA by American workers! 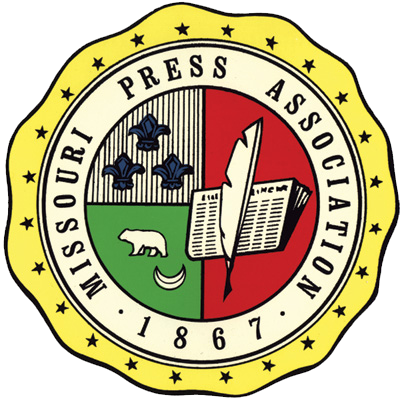 We offer several product lines and book sizes to choose from! 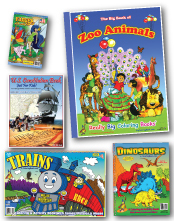 We manufacture kids' coloring books at the best competitive rates. 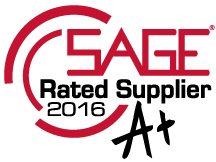 We participate in Green Technology that is friendly to the environment with soy inks, recycled paper and the sustainable forestry initiative! Coloring Books designed to make your business money. Here you can purchase one (1) copy or a truckload. This great Travel Table Coloring Book presents a bevy of careers with child-friendly illustrations. 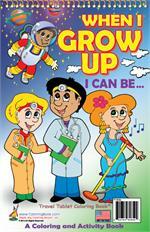 Many career choices are covered, and this coloring and activity book encourages children to find out more about what they want to be when they grow up. Travel around the world as you join two children and their friendly polar bear on an epic adventure. 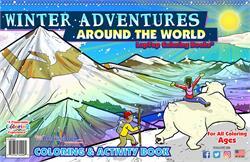 Winter Adventures LapTop Coloring Book® is packed with 24 pages that showcases different locals around the world. Price: Coming in mid 2019! 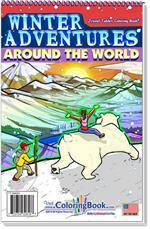 Travel around the world as you join two children and their friendly polar bear on an epic adventure. Winter Adventures Travel Tablet Coloring Book® is packed with 36 pages that showcases different locals around the world. 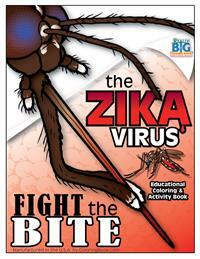 Zika Virus - Fight the Bite is a 16 page selfwrap coloring book, including full color covers, with extensive information and colorable line art pictures on details about Zika. The book is designed as an educational aid to assist in educational efforts. Although this book isn’t as big as elephant, it’s certainly tons of fun (17.5" x 22.5")! 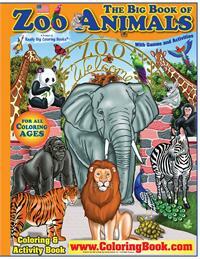 Featuring amazing facts and figures of more than 100 animals, this great zoo book is educational and entertaining. Is it a safari? Is it an exposition? Is it a trek? Immerse yourself in the menagerie of sights and sounds and take a trip to the zoo! 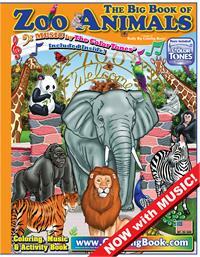 Grab your mom and your sister, too, and visit the broad array of exotic wildlife featured in this huge coloring book. 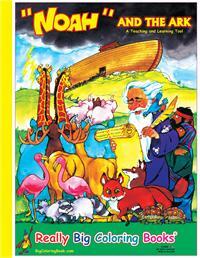 Noah and the Ark is one of the best-known and most beloved stories of the Bible’s Old Testament. 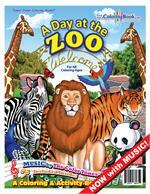 Children will enjoy learning the details of the story while coloring many different pairs of animals. 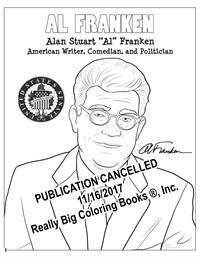 This coloring book is a popular teaching tool. Here’s a giant coloring and activity book about racing and racecars that also features trucks, motorcycles and airplanes. 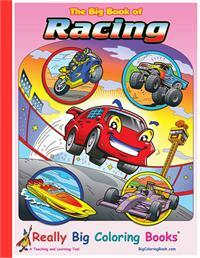 The book introduces children to various forms of racing in a fun, exciting way!